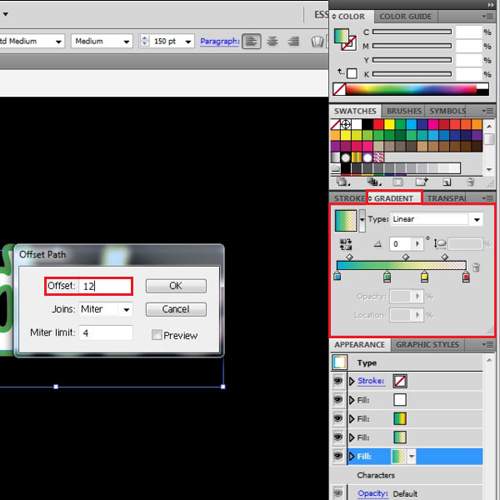 In Adobe Illustrator cs5, you do not have the default option of using gradients in strokes. However, something that you should know about Illustrator is that even though you have no feature supporting this effect, you can still apply a gradient stroke in Illustrator through a simple technique. 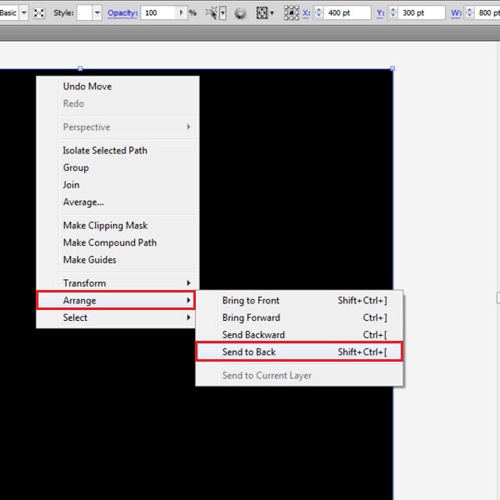 To learn how to use gradients strokes in Adobe Illustrator look at the steps given below. 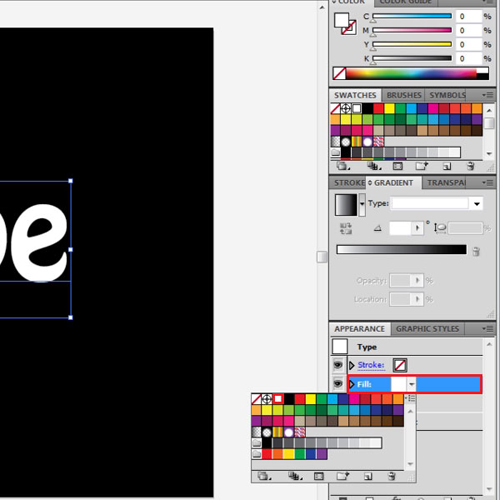 First enter the text by selecting the “type tool”. Over here the font type is “Hobo Std Medium” with a the size as “150 pt”. 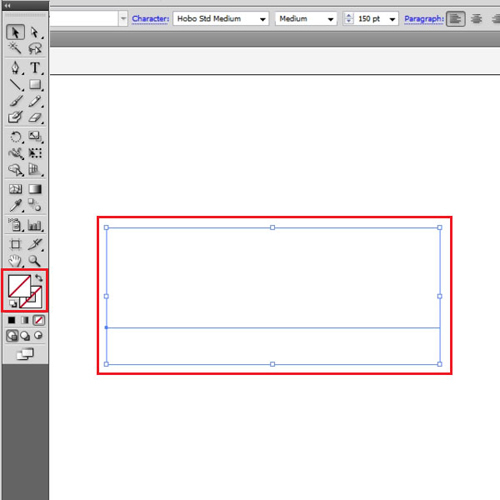 Enter your text, place it at the center of the canvas and remove the existing fill. 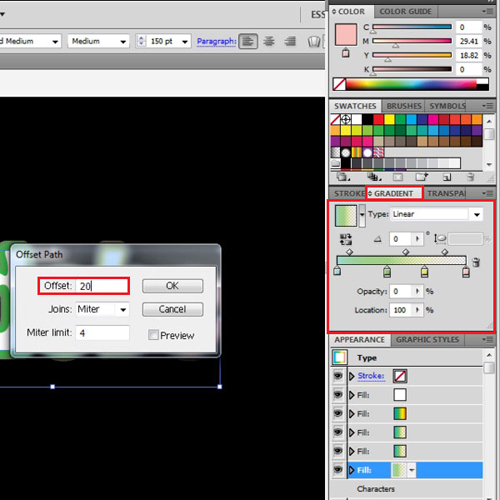 Make the background by creating a rectangle the same size as the canvas and sending it at the back. Go to the “object” menu, drop down to the “lock” option and pin the current selection. This will ensure that the background doesn’t move while you are working on top of it. Add a new fill from the drop down arrow in the “appearance” panel on right. Select the text and change its fill to white. In a new fill add a gradient and use the colors in it according to the gradient stroke in Illustrator that you want. 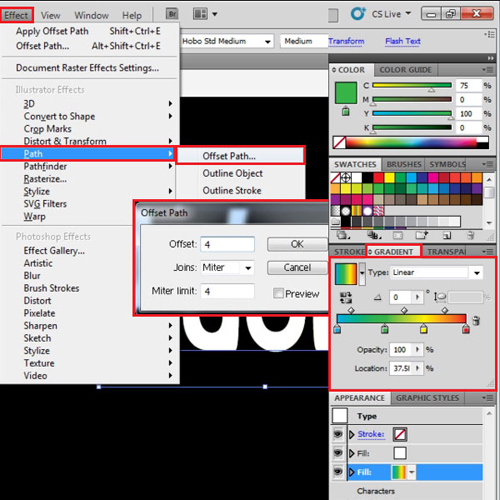 Offset this fill by going to the “effect” menu, going to “path” and selecting the “offset path”. In the panel that appears enter “4 pt”. 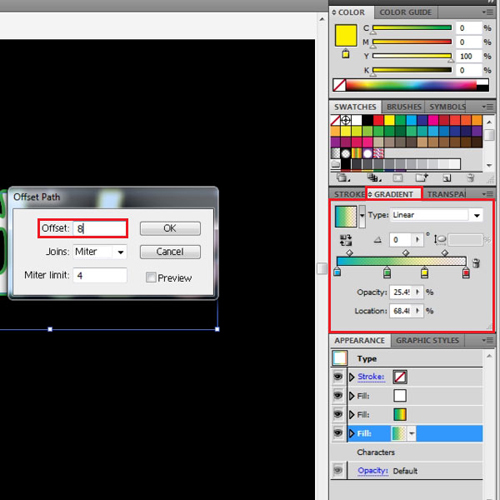 Add the translucent gradient in a new fill while using the same colors in it as the previous gradient. Set the offset of this fill at “8 pt”. Add another fill with the same gradient. Offset the path of this fill as well by “12 pt”. Add a last fill and for the gradient in it replace the colors with their lighter shades. Offset this by “20 pt”. You can even use this method in Adobe Illustrator to create a gradient stroke effect on illustrations other than text.